On September 27, 2018, Governor Jerry Brown signed into law a new section of the Family Code (FL 2605) that better protects the best interest of the family dog in a divorce or legal separation. Until now, the family dog was considered personal property subject to the law that controls personal property division in a divorce or legal separation. Under the new law, a dog is still considered property, but now divorce court judges may consider the best interest of the dog when deciding which spouse should be allowed to retain physical custody of family the dog. 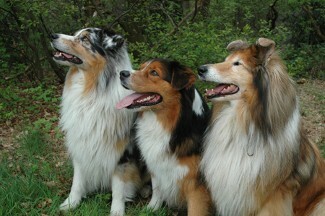 Before a judge makes dog custody or visitation orders in a divorce or legal separation the judge must evaluate several factors, including: 1) whether the dog is community or separate property, 2) the dog’s best interest, and 3) whether the dog’s best interest conflicts with a child’s best interest. Generally speaking, community property is defined as an asset that is acquired during marriage by either spouse, while separate property is defined as an asset that is acquired before marriage, after separation, or as a gift or inheritance during the marriage. For further information, see Community Property. The new law only applies to a community property dog. If a dog is acquired before marriage, after the spouses separate, or as a gift or inheritance, the dog is considered the separate property of the acquiring spouse. Per the new law, if the dog is classified as community property, then the dog’s value is subject to equal division among the two divorcing spouse, but the spouse who retains physical custody of the dog depends on what is in the dog's best interest. This means that the spouse who does not receive physical custody of the dog should be awarded and offset of community property sufficient to offset the value of the dog. Note: The value of a community property dog is based on the dog’s age, abilities, health, breed, and/or replacement value. Child's best interest: Whether separating the dog from a child would infringe on the best interest of the child, and more. Note: A judge may make any custody and visitation orders that are in the dog's best interest, including joint or sole custody. Joint custody means the dog’s owners make important legal decisions for the dog together (jointly), such as end of life decisions, vet choices, boarding choices, etc. Sole custody means that only one of the dog’s owners makes important legal decisions for the dog (solely). Dog visitation does not have to be equal. 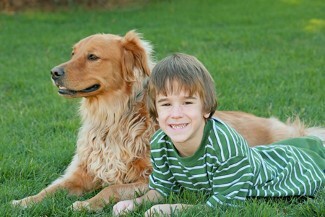 See Child Custody Rights for similarities to dog custody rights. Evidence used to establish that a dog is community or separate property is also used in evaluating dog custody and/or dog visitation orders that would be in the best interest of the dog. Common evidence used in dog custody and/or dog visitation cases includes: adoption papers, declarations, vet testimony, dog tag license records, vet shot records, dog surgery records, pictures and/or video of the family dog, dog purchase receipt, registration receipt, pet store receipts, training class receipts, lease with named pets to show ownership, neighbors' testimony, etc. Dog ownership and/or dog custody issues may be addressed before or during a marriage in a prenuptial agreement, or post-nuptial agreement, respectively. Prenups and post-nups provide for the predetermined division of community and separate property assets, including a family dog, in the event of a divorce or legal separation. Mandatory family court mediation is an attempt to resolve family law issues, such as community property division, child custody, child visitation, etc., before those issues are disputed in front of a family law judge. Mediation is not mandatory for undisputed issues. Dog custody and/or dog visitation issues may be dealt with in mandatory mediation, so long as dog custody and/or dog visitation is not the only disputed issue. To learn more about who gets the family dog in a divorce, contact our family law attorneys today for a free consultation. Call today! Free Consults: 7:00 a.m. - 7:00 p.m.